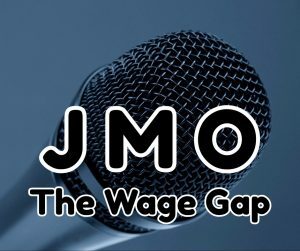 In this post, I'll address the Wage Gap – it's influence and a suggested solution. It doesn't take a genius to figure out the rich are getting richer – and the poor are getting poorer. Which means the middle class is shrinking. Some politicians want to play Robin Hood, taking from the rich to pay the poor. And others are paid off by the rich to cut benefits to the poor while reducing taxes for the rich and supporting industries that the rich have invested in, like oil, defense, guns and tobacco. You know – the industries that are destroying our planet. Certainly the latter is more destructive than the former. But the Robin Hood approach isn't always the way to go either. Shouldn't there be a middle ground somewhere? A way for all ethical people to "win" while allowing our planet to survive? A way for people earn a decent living, whether they're a worker or a small business employer? Other posts discuss the challenges with jobs and taxes. Here I want to offer one simple solution: Offer government incentives to companies that keep the wage gap between the highest paid and the lowest paid workers under a certain multiplier. I don't know the right formula – I'll let the mathemeticians and economists work that out. It has to be enough to be worth it, but not more than we can afford. First, it would call attention to those companies who have a significant gap. If they're privately held, then it would be up to the owner to decide whether they want the tax incentive – or not. But if the company is publically held, the Board of Directors and stockholders would have an incentive to hire and manage CEO compensation within the parameters. Not only the incentive to not pay over-inflated salaries to these executives, but also the incentive to be on the list of the companies that earned this tax benefit. Certainly investors would want to add this information to the list of criteria like EBITA and P/E ratio. In order to minimize the gap, the company would also have the option of increasing the pay of the lowest-paid workers. Nothing wrong with that! Happier, more loyal employees! It could also free-up some money to go toward innovation and job creation. You know, to actually enhance the future of the company. As a comment from personal experience, I remember when I worked for Kodak. The company was imploding, laying of 1/5 of the employees at least once a year (at the time). Yet they paid the CEO $40 million that year. No, I'm not kidding. Think of the jobs that one salary could have saved! Or perhaps use that money to help find ways for the company to grow instead of decline. But we all know "the rest of the story" there, don't we? The downside of this proposal? Of course, the tax break has to be funded somehow. I have my own thoughts (like less money spent on wars and oil and tobacco and guns and fewer tax breaks on the companies that fuel these things) but that's for another day. For more about the Wage Gap, Jobs and the Minimum Wage, see tomorrow's post.